Made from strong, heavyweight gold kraft paper (unless stated) interoffice envelopes are pre-printed with forwarding boxes for internal mail purposes. Envelopes can be used again and again. Convenient Pack of C4 Interoffice Gold Kraft Envelopes. Envelope Size: 324 x 229mm (C4). The 'Internal Mail' Envelope choice for the Environmentally Conscious consumer. Made in Australia using 100% Recycled Unbleached Natural 95gsm Paper. Box of 250 pocket style envelopes. Interoffice. 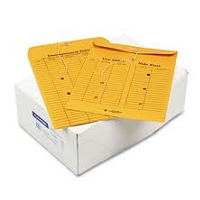 Bulk box of DL 'Internal Mail' Gold Kraft Envelopes. Envelope Size: 220 x 110mm (DL). Box of 500 pocket style envelopes. 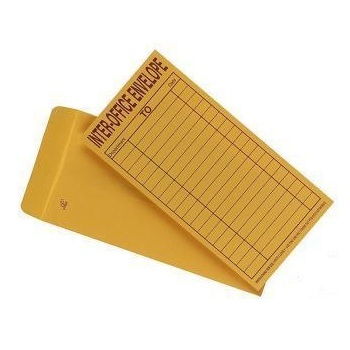 Bulk box of C4 Interoffice Gold Kraft Envelopes.